Washington Irving had a remarkably wide circle of friends and acquaintances, representing some of the most respected — and famous — writers, artists, poets, and politicians of the 19th century. Here’s just a sample of some of the renowned figures that wove their way into Irving’s remarkable life. A distinguished public servant who served as the United States consul in London from 1815 to 1853, the deft Aspinwall worked as Irving’s literary agent in London beginning in 1824. Irving relied on Aspinwall’s services in London for more than thirty years. German-born immigrant John Jacob Astor was an American investor, philanthropist, self-made millionaire and longtime friend of Washington Irving. In 1834, Astor hired Irving to write the self-serving biography Astoria and in his will appointed Irving as an executor of his estate (for a fee of over $10,000, about a quarter of a million dollars today). Astor also selected Irving to serve as the first chairman of one of Astor’s pet projects, the New York Public Library. Irving’s best friend and lifelong intimate, and a member of a long-established New York family, Brevoort was a co-conspirator in the Knickerbocker hoax in 1809 and managed the production of several of Irving’s American editions, including The Sketch Book. Brevoort also wrote sympathetic (and well-placed) reviews of Irving’s work, managed his business affairs and negotiated terms with American publishers. Popular, prolific, and petty, Cooper was a successful American novelist — best remembered for his Leatherstocking Tales — who resented Irving’s accomplishments and popularity even as he asked him for his assistance in finding a European publisher. Cooper believed — wrongly — that Irving had turned his back on his American roots in favor of wooing European readers, and accused him of using his literary reputation to court political favors. The brilliant British novelist was a lifelong fan of Irving’s — he claimed to have worn out his copy of A History of New York — and had begun his writing career with the Irving-influenced Sketches by Boz. 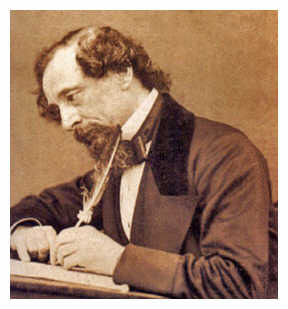 Irving wrote Dickens a complimentary letter regarding Dickens’s The Old Curiosity Shop in 1841, and a mutual friendship began. Irving would host Dickens at Sunnyside during Dickens’s American tour, and would even preside over a dinner in his honor in New York in February 1842. An admirer of Irving’s work, Hawthorne traded correspondence with Irving and provided him with advance copies of his books — and was regularly delighted by Irving’s words of praise. The well-respected Kemble was a founding member of the “Lads of Kilkenny,” and a lifelong close friend of Irving’s. Kemble’s family estate on the banks of the Passaic River was a regular hangout for the Lads, and was dubbed “Cockloft Hall” by Irving. Kemble established the enormously successful West Point Foundry at Cold Spring in 1818 and later served two terms as a U.S. Congressman. The Baltimore-based Kennedy was a disinterested lawyer, part-time politician, aspiring novelist, and something of an Irving wannabe-his novel Swallow Barnwas a knock-off of Irving’s Bracebridge Hall. Kennedy was an intimate and adviser both to Irving and a young Baltimore journalist named Edgar Allan Poe. “You Leslie!” as Irving playfully called him, the English artist Charles Leslie was a core member of Irving’s London-based artistic circle of friends. Leslie befriended Irving in London during preparation of The Sketch Book and contributed drawings to later editions of A History of New York. A lifelong admirer of Irving, the young Longfellow — touring Europe before beginning his tenure at Bowdoin College — first met Irving in Madrid in 1827. “He is one of those men who put you at ease in a moment,” he said warmly of Irving, and remained a friend and fan for the rest of his life. 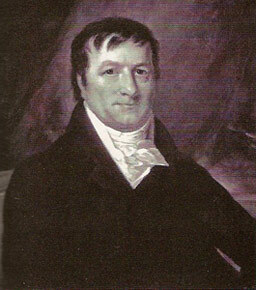 An American lawyer and politician, Louis McLane served as Congressman and Senator from Delaware before being appointed by President Jackson as Minister to the Court of St. James in London in 1829. Irving served as McLane’s secretary and right hand man in the embassy, and he and McLane successfully negotiated the agreement opening West Indies trade. McLane returned to London as American Minister in 1845, and he and Irving — now serving as Minister to Spain — worked together to resolve the Oregon border issue. The American portrait painter Newton was another of the close-knit circle of artistic friends Irving fraternized with in London. The nephew of painter Gilbert Stuart, Newton painted several portraits of Irving and remained a close friend and confidant until his untimely death in a Chelsea asylum at age forty, succumbing to severe mental illness. One of Irving’s oldest and closest friends, James K. Paulding was Irving’s primary collaborator on Salmagundi and a co-conspirator of the Knickerbocker hoax. Paulding enjoyed a successful career as a naval agent and served as Secretary of the Navy under President Martin Van Buren. The rascally American actor and playwright was a gifted young actor, but only a marginal playwright, and is best remembered today for penning the song “Home Sweet Home.” Irving befriended and collaborated with Payne on a number of plays in the 1820s. Payne unsuccessfully wooed the recently-widowed writer Mary Shelley . . . who was far more interested in Payne’s friend, Washington Irving. Brilliant, moody American poet and penner of dark tales, Poe wrote Irving flattering letters seeking his endorsement of his stories “William Wilson” and “Fall of the House of Usher.” Poe wryly recognized Irving’s prominence in American literature — and fully understood the benefit of Irving’s endorsement of his works (“Irving’s name will afford me a complete triumph over those little critics who would endeavor to put me down,” Poe gloated to one colleague) — but privately considered Irving overrated. The famed Scottish poet and novelist was Irving’s idol and literary mentor. An early admirer of A History of New York, Scott encouraged his British publisher John Murray to publish The Sketch Book. Irving and Scott maintained a close personal and professional friendship for the rest of their lives. The English novelist best known for Frankenstein, and widow of poet Percy Bysshe Shelley, Mary Wollstonecraft Shelley was wooed unsuccessfully by John Howard Payne in the mid-1820s — mainly because Mrs. Shelley was much more interested in her “dear” Washington Irving. ” As to friendship with him –,” she confessed, “it cannot be — though everything I hear and know renders it more desirable.” Alerted by Payne of Mrs. Shelley’s romantic interest in him, Irving iced the relationship before it could begin. New York’s craftiest politician and political strategist — even his foes grudgingly referred to him as “The Little Magician” — Martin Van Buren became a friend and admirer of Irving’s when they first worked together in the American legation in London. While evolving political views sent them to opposite corners in later elections, the two were reconciled late in life and remained close friends. this site and your book are helping me so much on my high school research paper.